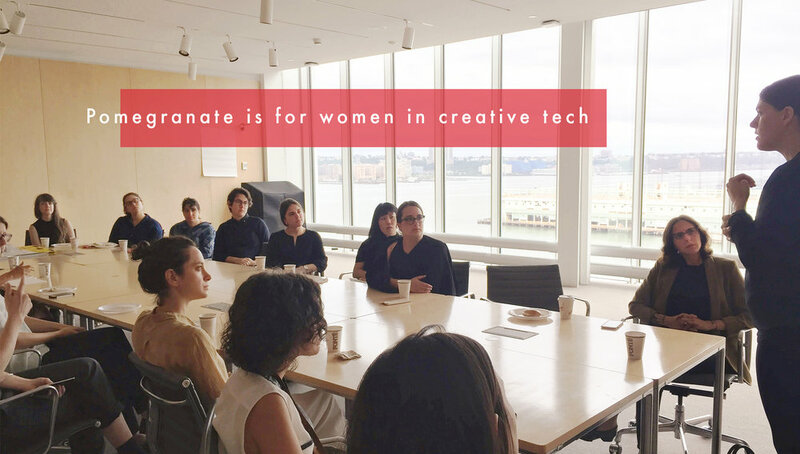 Pomegranate supports and connects women in creative tech through a series of invite-only salons. Through Pomegranate, Women have the opportunity to share & strengthen their projects through purposeful feedback and ideas from other women in their industry. Learn more here. OBJECTIVE: To bring to life the vision of the founders in a visually impactful but compact and meaningful way.